Prebiotics are the food that grows and sustains the good bacterial colonies. Why? 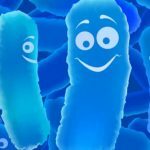 Research has shown that once we stop taking a probiotic, the number of good bacteria inevitably returns to pre-probiotic levels. Essentially, our gut bacteria diversity and numbers are set by the time we’re adults. However, there are a few things we can do to change these set points and increase our bacterial diversity and the number of colonies in our gut. When we take prebiotics, good bacterial colonies become more plentiful. More good bacteria equals better health. Of course taking probiotics, if done correctly, remains important. I still use them with my patients with good success. As my last article pointed out, however picking the correct strains are important. 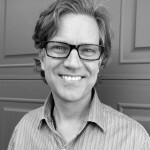 See my article, “Probiotics: Wasting Your Money?”. What is a prebiotic? A prebiotic is a non-digestible food ingredient (usually fiber or starch) which promotes the growth and activity of health-promoting microorganisms / bacteria (such as bifidobacteria and lactobacilli) in the intestines. Prebiotics occur naturally in many foods, however, eating them raw can be important. I suggest getting 12 grams of prebiotic fiber / carbohydrate per day. Though it’s difficult to get some of these prebiotics into our diet, there are good supplements we can take. Just as with probiotics, taking a random product might not be the best idea. 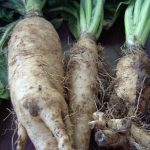 Knowing the different kinds of prebiotics, targeting your specific condition, and understanding which bacteria you are trying to grow is helpful. Here are some prebiotics that I use in my clinic. More are consistently emerging with ongoing research. Inulin-type fructans. Fructans are found in wheat, onions, asparagus, bananas, garlic, artichokes, and leeks. 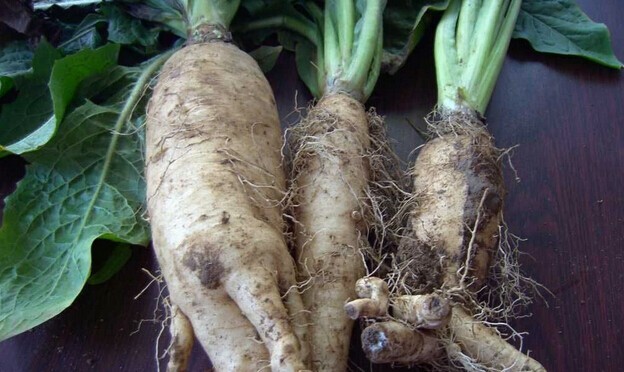 Chicory root is a major commercial source. These prebiotics mostly feed the Bifidobacterium family of bacteria, but also increase numbers of Lactobacillus and the important butyrate-producing Eubacterium and Roseburia species. Galactooligosaccharides is found in human and cow’s milk and selectively augments Bifidobacterium and Lactobacillus. Lactulose is a galacto-fructose made by the isomerization of lactose. It increases Bifidobacterium and Lactobacillus numbers, and reduces the bad bacteria, Clostridium perfringens, Bacteroides, Enterobacteriaceae, and Streptococcus populations. Hepatic encephalopathy, (a brain condition caused by liver damage). Here is a summary of some of the current research and recommendations for specific conditions and the prebiotics used to address them. When should I take prebiotics? Prebiotics should be taken with a meal. Do I need to take probiotics with prebiotics? Some people have discomfort / bloating when they start taking prebiotics. Therefore, one should start slowly. If this does not remedy the situation, then consult your health practitioner and consider conditions such as small intestinal bacterial overgrowth (SIBO). How do you know if you need prebiotics? Prebiotics essentially come from fiber. It is my clinical opinion that almost everyone could benefit from additional fiber. For example, a modern westerner may eat 20-25 grams of fiber a day, whereas ancestral humans ate ~125 grams a day. Imagine hunters and gathers finding wild vegetables, I imagine they ate even the stalks, which are full of fiber. This said, I do not know of any test or set of symptoms pointing the need for prebiotics. Yet anyone with compromised health, and those who want to stay healthy may benefit from taking prebiotics. It is best to consult with a healthcare professional to know how you may benefit and to discern which prebiotic is best for you. This article opens my eyes on prebiotics (and probiotics). But… Chinese medicine is based on Qi. As well as health is. Chinese herbal compounds usefulness is based on the characteristics of Qis it provides. Maybe this is not really so, if we have to consume prebiotics/probiotics. The ancients have not heard of prebiotics, but some of them have lived hundreds of years as much as 857 years or more. How is this possible? Is the problem that we live in cities in multistory buildings? I am not. I live in a small town in a house surrounded by a yard with trees. I do qigong, but my gut is still challenged. The problem is most likely ignorance in qigong and not using the right herbs. Yet the problem is not using prebiotic’s??!! I am willing to use them. I just want to also be sure that I have sound reasons to pay attention to relatively novel items such as prebiotics. Since the root of health seems to be in abundance and quality of shen, jing and QI. This takes time to achieve. If we hunt for things such as prebiotics, the 3 treasures might get scattered and no amount of prebiotics will correct that problem. I am simply concerned that for the first 70 years possibly, we may hunt for whatever we like to get, such as prebiotics. After that time has passed away, we either are able to continue doing what we have done or if we have to switch to something really important, the time for that would not be available. Our resources have been scattered beyond repair. Hi Alexander, There is a lot here to comment on, hence my delay. Chinese medicine has a certain model for viewing the world and the body. It is ancient wisdom and extremely valuable. But it is just one viewpoint / one lens. Western medicine and science has a different lens and has discovered incredible new information about health. It is also valuable. 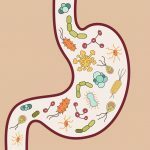 Thank you for your very informative and interesting write-up on pre and probiotic. I believe there many more herbs that are prebiotic in nature especially from tropical rainforests that need to be explored. I agree, it is a new field of study, growing rapidly! I have Lyme disease, coinfections, neurological issues, severe anxiety, depression and insomnia etc. Plus I am about to start detoxing for parasites. 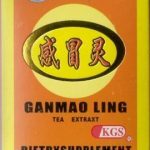 I use many supplements, herbs,etc.Any thoughts would be greatly appreciated. I also take a raw probiotic from Garden of Life. …how would you rate this probiotic? Thank you! Hi Jason, i have had psoriasis now for many years and its getting worse n worse. Just wondering if you would be interested in assisting me? I live in Australia. Would love some help if can assist at all?